Inserted throughout this issue are photos from last week's Project Day. See the full story below. Students are working hard to prepare for conferences in two weeks! During this final round of conferences, your child will be presenting a review of their progress and reflections on the year thus far. This allows everyone a chance to bring their goals and learning towards a full circle, both celebrating successes as well as identifying continued challenges. Please remember that your child’s advisor is also your point person as well. If you would also like to meet with the advisor to discuss specific items once the student-led portion of the conference is complete, please let them know. Jeri, our Director of the Innovation Lab, arranged a few collaborations that led to some amazing creations! The 5th graders went into the iLab to get help building their bridge projects, while the 6th graders worked on their animal locomotion projects for Science as well as their Spanish monument projects. The 7th grade worked with the 3D printers as well as the Carvey machine as they studied Islamic tiles and tessellations. 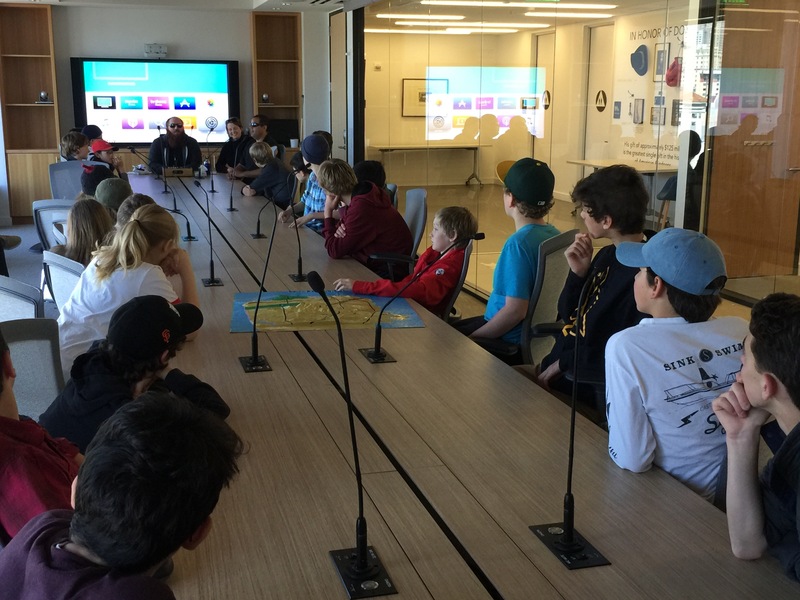 Last, but certainly not least, the 8th graders traveled to Alameda to study pinball machines as a jumpstart in creating their own as they studied force and motion in Science. Ask your child about their project! We had our fourth Project Day yesterday, and the students had some great opportunities to dive deeply into different subjects, which are depicted in the pictures throughout this newsletter. The 5B class worked on their Spanish News project, while 5G spent the day with Analise and Lily exploring issues around farm labor and food justice. Students learned about the Fair Food Coalition, a modern success story for human rights in the establishment of the Fair Food Program. 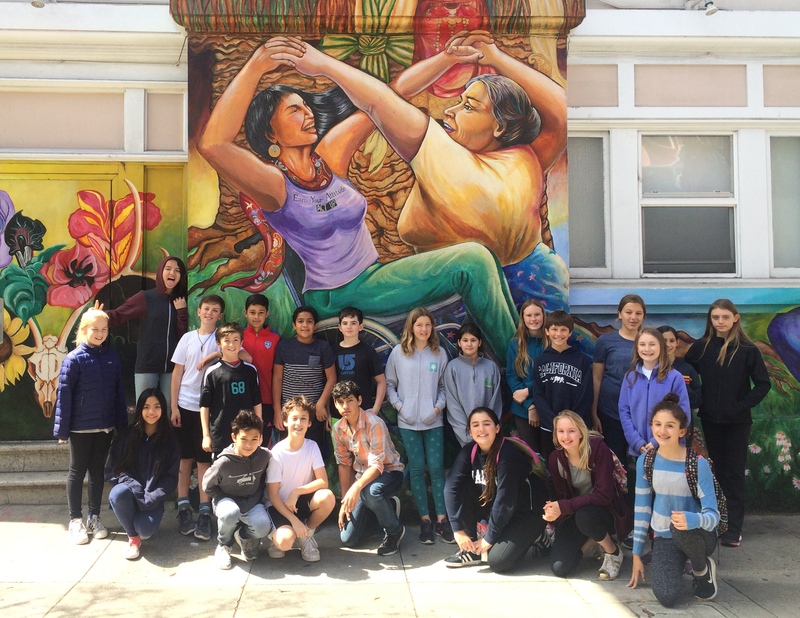 Half of the 6th grade traveled to the Asian Art Museum, while the other half stayed in the neighborhood to do a mural walk and begin creating their own pieces of art. 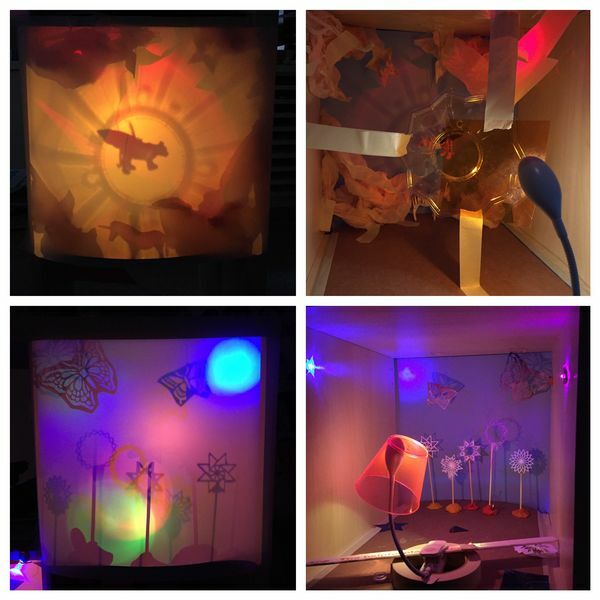 Many 7th graders worked with Jeri and Colleen in creating some cool light and shadow box exhibits, while other 7th and 8th graders visited Lighthouse, the center for the blind and visually impaired. There, they learned about many of the adaptations that people with visual impairments use to help navigate the world around them. 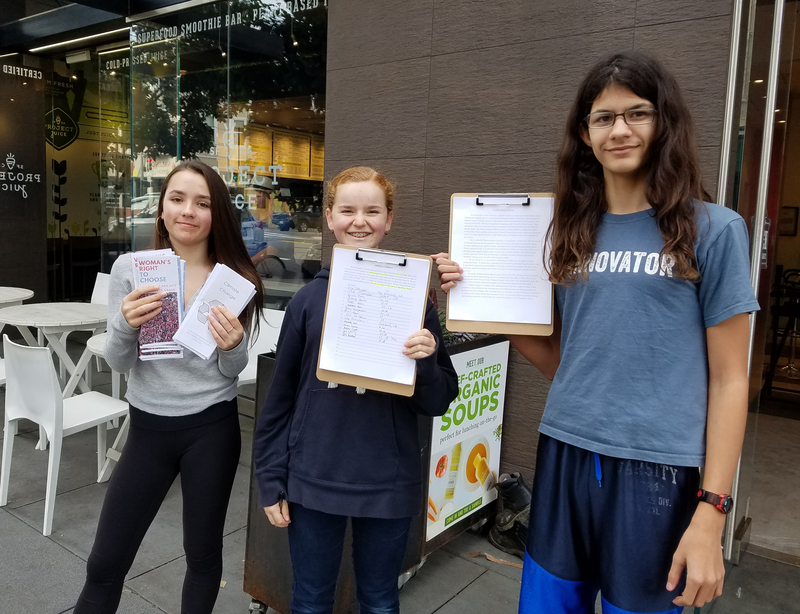 Most of the 8th graders took this opportunity to head to the Embarcadero, where they spoke with people about their petitions for women’s health and clean water. Ideas were exchanged, opinions swayed, and signatures were captured in preparation for their trip to DC! CDS futsal teams are looking great this year! After a month of hard work at practices, the games are just beginning. The Girls Varsity team, coached by Ryan Trutner, is led by a number of strong 7th graders. They have their first game today, Monday, March 27, at CAIS at 4 pm. The Boys Varsity team is made up entirely of 8th graders and also coached by Ryan Trutner. Their season opens up against Lycee on Wednesday, April 5 at 5 pm. The Girls JV team, coached by Lindsay Galligan, is a mix of 7th and 6th graders who won their first game against CAIS last week. This group is already showing a lot of potential as strong competitors in their league this season. Their next game is on Tuesday, March 28 at Live Oak at 4 pm. The Boys 7th grade JV team, coached by Molly Whittaker, started their season with a win against CAIS. The team is coming together and will be a force to be reckoned with this season. Their next game is on Monday, April 3 vs. Synergy at 3:45 pm. The Boys 6th grade JV team, also coached by Molly Whittaker, played a tough first game against CAIS last week and finished with a loss. However, the season ahead is looking good for this group as they showed incredible resilience, hard work, and positive attitudes that will make them tough to beat in future games. Fifth through eighth grade families: if you have not had a chance to do so, please complete the Middle School Stress Survey that was sent last week. The survey consists of eight questions and will take roughly five minutes to complete. We hope every parent completes the survey so that we have a valid assessment of some of the dimensions of Middle School student stress at CDS. We will also be asking your student to fill out a similar survey at school. These results will serve as input to a parent discussion and will also help inform actions CDS may take to help reduce any stress that might be present among our Middle School students. Please complete the survey by Wednesday, April 5. The parent discussion, where we will review the results and discuss the topic of Middle School stress, has been scheduled for Tuesday, April 18, at 3:00 p.m. We sincerely hope that you take a moment to complete the survey and that you are able to participate in this hour-long discussion on April 18. With April Break just around the corner, we ask that families do not extend vacations beyond the scheduled days off. There is a lot that happens every day in class and, with the nature of our discussion and project-based work, making up for missed days can be exceptionally challenging for students. Thank you!